Counting calories is an important part of making smarter nutritional choices. 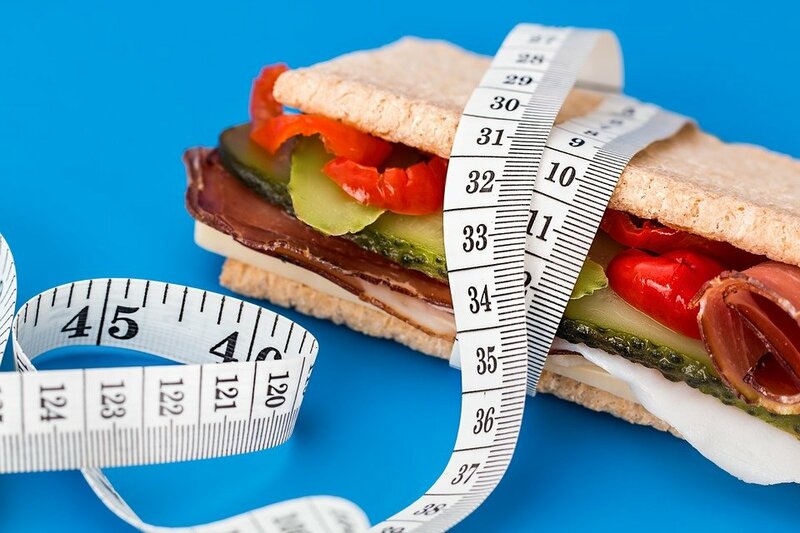 Dieticians, nutritionists, and fitness experts alike now recommend looking beyond the quantity of calories, and measuring the macronutrients of the food you eat in order to achieve weight loss goals. This is now being called macro dieting. Macro dieting aims to feed the body with ideal nutrients that can make it more efficient. Let’s be honest, dieting is not easy. But, good nutrition and an active lifestyle are essential components to being health. Creating new eating habits can start with understanding the breakdown of macronutrients and why they are so important. What are macronutrients and what are the benefits of a macro diet? Macro dieting balances the intake of three key macronutrients: carbohydrates, protein, and fat. Our body needs each of these for energy and to function properly. They are also needed for the development of new cells and the proper functioning of vital organs. Nutrition experts recommend macro dieting in order to make smarter choices about meals. As there are several health risks associated with an excessive intake of carbs and saturated fats, experts recommend a healthy balance of these macronutrients to meet health requirements. The amount of daily macronutrients intake and how they are distributed per day are influenced by many factors including morphology metabolism, level of physical activity, dietary habits, and any known chronic conditions. Health experts advocate the following ratios: 45-55% of carbohydrates (45-55%), protein (15-25%), and fats (25-35%). This equation and distribution become more complex for those with abdominal fat, diabetes, cardiovascular risk factors, or kidney problems. The first step is to determine the appropriate ratios that are best for you. This can be done with help from a certified dietitian, or a digital food tracking tool like DietSensor. Understanding the perfect breakdown of macronutrients is a goal worth striving for. With proper guidance and digital tools now available, you can start to see the results with your weight loss goals. There are different myths and misunderstood facts that circulate about weight-loss, health, fitness and food choice. Some of these are simply urban legends, while others may have been true at some point. Today, there is overwhelming scientific evidence that weight-loss has a direct connection to the quality and quantity of the food that we eat. While some may think or tell you that portion size doesn’t really matter if you’re eating healthily, we believe that portion control is important even though you are eating the healthiest of foods. Portion control can become a healthy routine to avoid diseases such as diabetes, high cholesterol, or cardiovascular disease. There are various techniques used to measure portion control. One is to compare food portion size to the size of object. One cup of yogurt is equal to the size of a baseball or 3 oz. of meat to a deck of cards. A recent study has demonstrated that using smaller plates can help to reduce portions of foods. Researchers from the Cornell University found that people who ate from smaller plates believed that they were eating on average 18% more calories than they actually were. Thus, they recommended that instead of using restaurant-sized plates, a regular dinner plate should be no bigger than 10 inches. Find the method of portion control that is best for you and let it become a good habit for nutritious eating! Obesity has reached the point of a global epidemic, according to a new report published by the World Health Organization (WHO). A person is considered obese when their body mass index exceeds 30. Today, obesity affects more than 2.8 million people each year and this number is increasing constantly. Excess weight kills approximately 3.4 billion people every year. Whether they are described as rich, poor or developing, all countries in the world are affected by obesity. If, in the past, excessive weight gain was a challenge in high-income countries, nowadays the situation has changed and all countries are concerned. And, obesity does not discriminate based on age. Today, more than 1.4 billion twenty year olds globally are considered obese. This number is expected to increase to 3.3 billion by 2030. The countries with the highest obesity rates are not necessarily the richest, nor the most developed. In the CIA’s World Factbook list, the United States of America is ranked 12th and the United Kingdom 27th among the most obese countries in the world. This indicates that there is no direct relationship between obesity and economic status. If we dig a bit deeper and analyze the CIA’s Word Factbook list, we will find out that smaller countries such as Naura, Marshall Islands, Kuwait and Samoa have the highest rate of obesity. Food scarcity and decreasing purchasing power which characterizes poor and underdeveloped countries are the main reasons why these countries have the highest rate of obesity. People living in these countries have restricted access to balanced and healthy diet. In some cases, their only option is eating easily available junk and fried foods. Gender and age are also factors that differentiate the rate of obesity between countries. In the UK, USA, Australia and Canada, nearly 25% of men who are 18 years older or above are overweight or obese. However, in South-East Asia, Africa and East Mediterranean, the rate of obesity among women outweighs the rate of obesity among men. In some countries, women are often restricted to their homes thus having little scope to physical activities. It has been reported to the WHO in 2013 that more than 42 million children not older than 5 years were suffering from obesity. Obesity is a major health problem in the US. The rate of obesity in North America has continually increased in the last few decades. Today, more than 78 million adults and 13 million children living in the US are considered obese, with 35% of the population with a body mass index that exceeds 30. The American diet has historically contained a large amount of calorie rich, processed foods. The good news is that more and more Americans today are replacing process foods in their diets with more fruit, vegetables, fruits, and other healthy foods. The world is now taking this phenomenon seriously. Health experts and organizations around the world have set up an agenda for control and prevention. The increasing rate of obesity globally may now look bleak, but there is hope on the horizon. Let DietSensor help you eat smart, and stay balanced. The DietSensor mobile application will help you analyze and manage your daily intake of key nutrients. In just one week, the app will help you change your eating habits by identifying the best foods for you, and which nutrients you need more or less of. Using the mobile app is extremely easy. You just input the foods that you eat into the app, and the rest is taken care of. The app will analyze the different components of your meal, and let you know what nutrients you need. It will also display the ten foods that have caused you the biggest challenges. It is not always easy to follow all your doctor or dietitian’s advice. Unfortunately for many of us, eating healthy is associated with strict diets or limited menus. The DietSensor Nutritional Coach will help you analyze the food that you eat. It will define the number of nutrients you need for each meal of the day. It will also advise you on the best portion sizes of each food you log in. The application takes into account what you have eaten, your profile, and the time of day. With the DietSensor, changing eating behaviors is easier than ever. The application defines your goals, taking into account chronic health conditions like diabetes, cholesterol or obesity. It follows you throughout the day and helps you achieve your goals at every meal. And, the nutritional coach gives you useful tips for each meal. By using these simple tips, you can learn how to create a varied, healthy diet that is as good for your mind as it is for your body! Eating the right amount of nutrients is essential to maintaining a healthy weight and to help avoid many health problems. Did you know that 45-55% of your daily calorie intake should come from carbohydrates? That lipids should represent 30-35%? And proteins 10-20%? Do not feel overwhelmed by these nutritional facts! DietSensor will help you to understand what your nutritional goals are, and how well you are managing to them! 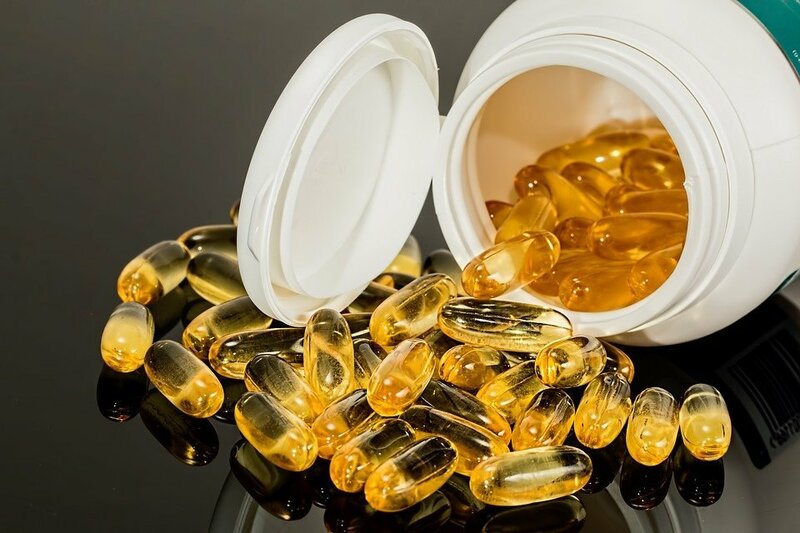 A group of researchers from the Guangdong University of Technology led by Professor Allan Zhao have recently discovered that omega-3 fatty acids can reduce the risk of diabetes. The study was featured in The Journal of Clinical Investigation. Type 1 diabetes is an autoimmune disease that affects children and young adults. The pancreas stops producing insulin and the body fails to regulate sugar levels. After years of study, the researchers found that eating omega-3 fatty acids will slow down the destruction of insulin-producing cells. Twenty years back, researchers found that fish oil could treat the conditions associated with diabetes. It is common knowledge that fish oils are rich in polyunsaturated fats such as omega-3 fatty acids. This information only solidifies the findings of the researchers of the Guangdong University of Technology. According to health organizations, a minimum of 250 to 500 mg of omega-3 is required daily to stay healthy. These can be obtained from foods like fish and shellfish. For fish, the best sources of omega-3 are mackerel, salmon, and cod liver oil. Mackerel is a small fish known to be rich in nutrients. One hundred grams of this fish contains 5 134 milligrams of omega-3. It also contains other important nutrients such as vitamin B12 and selenium. Above all, the Mackerel is tasty and easy to cook. 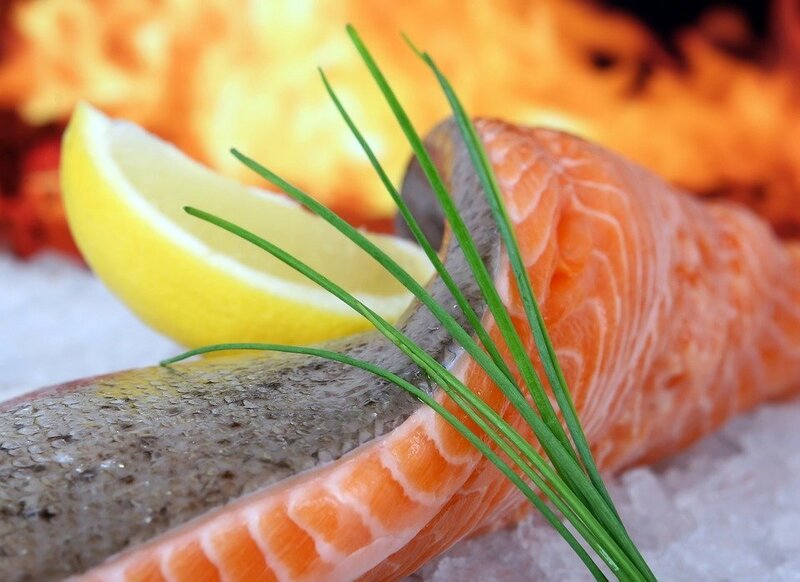 If you want to boost up your immune system, there’s nothing more effective than salmon. This fish contains 2 260 milligrams of omega-3 in 100 grams. It also contains a large amount of magnesium, potassium, selenium and vitamins. Eating salmon can also lower the risk of cardiovascular diseases, depression and diabetes. Extracted from cod fish, cod liver oil is rich in vitamin D and vitamin A. There are 2 664 milligrams of omega-3 in just a single tablespoon. Omega-3 is also found in shellfish such as oysters. These are both known to contain the highest amount of zinc and other important nutrients like copper and vitamin B12. Each 100 grams of oysters contain 672 milligrams of omega-3. Other foods rich in omega-3 are: sardines, anchovies, flaxseeds, walnuts and soybeans. 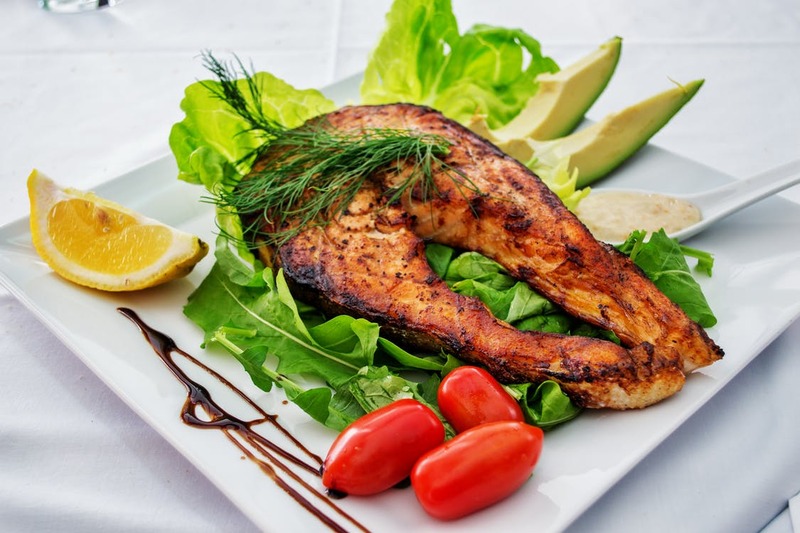 While the study suggests that omega-3 fatty acids can help reduce the risk of diabetes, nutritionists and other health experts stress that eating a balanced diet is the most important thing you can do. For those who suffer from diabetes, blood sugar management is an essential and compulsory task. A balanced diet can help manage blood sugar effectively and avoid long-term complications caused by diabetes. 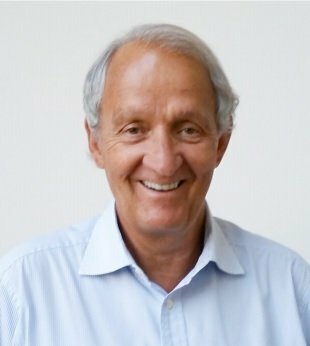 Dr. Marc Salomon, a specialized Physician in Cardiovascular diseases and preventive medicine, stated that digital applications are changing the way patients and their physicians manage their health. “There are many tools for measuring blood sugar. However, there are few, reliable tools that accurately measure nutrition”. Plan, scan, measure, and eat smart! Achieving goals is easier when you have expert advise and guidance. Many of us look to personalized support to help achieve our goals. To lose weight or maintain healthy eating habits, many are turning to nutritional mobile application trackers. DietSensor is one such application, and comes with unique nutritional coaching. This coaching sets DietSensor apart from other calorie counting applications. DietSensor’s nutritional coach is suitable for users who want to receive advice to support healthy eating habits that can help to effectively manage or prevent chronic disease (for example, diabetes, cardiovascular disease), get rid of extra pounds, or simply lead a healthier life. Put simply, there is no other application that offers a nutrient program per meal tailored to your needs and goals and that takes into account your eating habits by measuring meals and helping adapt portions and composition, rather than imposing set menus. The coaching program has two sections. The first section consists of tools that enable you to log or modify food choices before eating. The second gives access to nutritional coaching in twelve sequences. The latter allows you to follow the twelve sequences at your own pace and determines how many calories you should burn to maintain a healthy weight. Each sequence consists of 21 short ‘lessons.’ One lesson analyzes meals and provides useful tips that help you achieve your goals. You can receive these tips every time you enter your meal. The app simultaneously acts like a nutritionist by accompanying you at every meal and providing a calorie counter. There are several additional programs that encompass various goals including how to lose weight, manage your diet with type 1 and type 2 diabetes, etc. 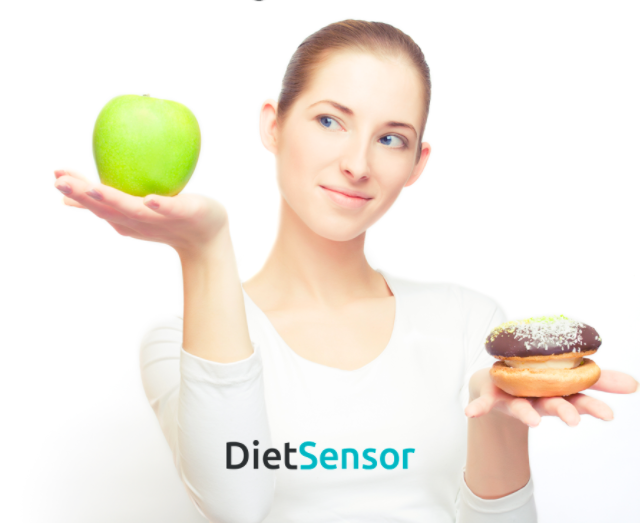 Let DietSensor help you eat smart, and stay balanced! Plan, scan, measure, and eat smart! Connected, wearable devices and accessories are increasingly a part of our everyday life. The health tech market has exploded with a bewildering selection of accessories and trackers designed to help consumers monitor, record, share and improve their performance in fitness related activities. However, to achieve sustainable weight loss, it is important to develop a knowledge of how to first achieve and then maintain a balance between the amount of calories consumed and the amount of calories burned. DietSensor can be synchronized with numerous accessories and fitness trackers and with other applications that calculate calorie expenditure during physical exercise. This automated feature removes the need for you to log exercise and activities manually, is more accurate, and helps keep you on track to meet your goals. DietSensor can also connect to your smart scale, enabling you to weigh yourself and then have the data automatically imported into the DietSensor app where it is represented in simple graphs that chart progress. Daily monitoring and measurement of fitness activities is important for achieving sustained weight loss. But, it is also vital to accurately measure the amount of calories consumed versus the amount calories burned. DietSensor will track your diet and ensure that your eating habits correspond and are optimized for peak metabolism and physical activities. We understand that everyone is different. There is no ’silver bullet’ or one size fits all when it comes to diet and fitness. DietSensor allows you to be flexible in your eating habits. With DietSensor, you can optimize your personalized diet and nutrition ecosystem by synchronizing with your devices. DietSensor can be connected to devices and applications from the following companies: Healthkit, Google FitAdidas, Daily Mile, Fitbit, Garmin, iHealth, Jawbone, UP Life Fitness, Microsoft, Misfit, Moves, Runkeeper, Sony, Strava, Suunto, VitaDock, and Withings. What we eat affects our bodies and our health. For people with diabetes, what we eat can help us manage the condition or put us at risk for serious health issues. Diabetes is a chronic disease that affects almost 30 million adults in the United States. Our body and health have a close connection with what we eat. People with diabetes can manage their condition with healthy eating habits. Diet is a key factor in dealing with diabetes or other chronic diseases. However, it is sometimes very difficult to manage the macronutrients for a balanced diet. Some people tend to reduce their carbohydrate intake thinking that this could help them losing weight or fight diabetes. However, there is no conclusive evidence to prove this statement. According to various studies, people with diabetes can choose carbohydrates that are higher in fiber and eat more fresh foods rather than processed foods. For some people, counting macronutrients imply reading the nutritional labels on packaging, estimating portions to fill a logbook. Even with a smartphone application dedicated to manual counting, this task becomes tedious with time. Balanced nutrition is difficult, yet it is the best tool for prevention and maintaining our health. With Dietsensor, a click on the sensor enables its users to know exactly whether the food meets their nutritional goals. They can also control effortlessly and precisely the composition and balance of their meals. Which works better to improve the cardiovascular health of those who are overweight – dieting, exercise or a combination of both? A Saint Louis University study finds it doesn’t matter which strategy you choose – it’s the resulting weight loss that is the protective secret sauce. Another strategy which can be used in order to fight against a bad dieting is the DietSensor technology. The app and the scan helps you to fix all unhealthy habit by having a nutritional coach within your smartphones. The guidelines of the app will help you better manage chronicle conditions and fitness. DietSensor makes food tracking so easy and accurate that anybody will be able to know what and how much he or she is about to eat, every day, without a huge effort. These information will be based on his health profile and DietSensor, with doctors and registered nutritionists, establishes advices driven by evidence based medicine. Dietsensor marks the beginning of the next generation of nutrition tracking tools. It is a User-Friendly app, taking you 10 times fewer clicks to log a food than with other manual input methods. Most diets don’t work because they’re impossible to stick with for the long term. Try following these principles for successful sustainable weight loss. No. It’s not your fault; it’s inevitable. Low carb diets are usually extreme ways of eating that achieve short-term results, often at significant sacrifice. You feel totally unsatisfied after a meal. Or you spend hours making special menus and buying special expensive food. It works for a very determined, disciplined period of time, but you can’t wait until the diet ends because it’s totally unsustainable. A person who wants to lose weight, have to become nutrition experts and learn how to count the carbohydrates in their food. At DietSensor, we want you to fight your fear with knowledge and have made it so easy for you so that you may have a better control on your diets. You can stop being a religious calorie counter – manually logging in meals can be so EXASPERATING, and we are aware of it. The DietSensor app is a nutrition coaching app for people who need to control their daily food intake, especially those seeking for a tool to carb count for weight loss, to get in shape or to manage diabetes, cholesterol, blood pressure or other chronic diseases related to nutrition. It is a User-Friendly app, taking you 10 times fewer clicks to log a food than with other manual input methods. Remember that your own self-care actions can make a big difference to your health. You are not helpless! After all, it’s not diabetes itself that typically causes serious problems, it’s poorly-controlled diabetes. With your DietSensor app and with good care, you can live a long and healthy life. Better living through molecular scanning ! Welcome to the future. You can order dietsensor and the SCio scanner today and pay on delivery.